Helping your child with homework not only benefits the child but the family as well. It provides parents with the opportunity to support their child, participate in school learning and actually discover what they are learning in school. Being interested in your child’s education can inspire them and help them understand that learning is rewarding and well worth the effort. Homework has been a way of life since the beginning of formalized education. It helps children improve memory and thinking, it can help develop positive study skills and habits, and it can help them learn independently and to take responsibility for their work. Set a Time – Having a regular time each day for homework is important. Set a time based on the family’s schedule however, don’t wait until right before bedtime to get it done. Location – Provide a cozy work area for your child. It can be a desk, kitchen table or coffee table (as long as the TV isn’t blasting). Wherever your child decides to do their homework it should be well lit and fairly quiet. Get Rid of Distractions – If you have younger children that tend to be noisy it can be challenging to get rid of all distractions. It is important to turn down or off the TV or radio and try to provide your child with study time free of distractions to complete their homework. School Supplies – Having the right tools and supplies makes it easier to get the job done. Have erasers, paper, pencils, writing paper and other supplies available for your child. Parent by Example – Set a good example by doing the things you are encouraging your child to do. Let them see you reading books, magazines, computer articles, writing, balancing the checkbook, using recipes for cooking, etc. 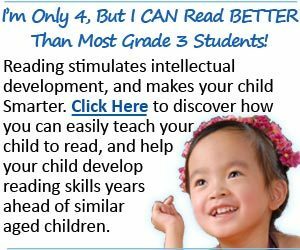 These things will help your child understand that the skills they are learning are important and will be used as an adult. Show Interest – Showing interest in your child’s education will help them stay motivated to do well in school. Attend school activities, ask your child what they talked about in school today and take them to the library to check out materials needed for homework. Make yourself available to answer questions and if you don’t know the answer maybe you can find it together, both learning something new. Your child is more likely to complete their homework if you are monitoring them. Depending on your child: their age, independence and how well they are doing in school will dictate how closely you need to watch. It isn’t a bad idea to check over completed homework after they have been returned from the teacher. Make note of any comments the teach has and check to see if the assignment has been completed satisfactorily. Helping your child with homework doesn’t mean doing it for them, it’s not your homework and they won’t learn if they don’t do it themselves. If your child is getting frustrated or having difficulty let them take a break, talk about the assignment and make sure they understand it and support them. Lastly, don’t forget to praise your child! People of all ages respond to praise, your child is no different. “You are doing a super job!” can go a long way toward motivating your child.